Everyone seems to love WD-40. Honestly is there a reason not to love it? 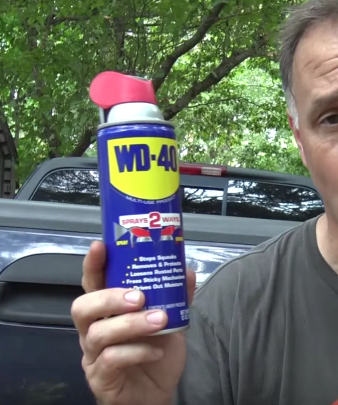 The truth is WD-40 isn’t just great for household applications, there are also survival uses for WD-40. To understand why WD-40 works in survival situations it’s important you understand what WD-40 is in the first place. WD-40 is not strictly a lubricant like most people think. It’s actually a water displacer meaning it moves water away from where it’s sprayed. That’s actually what the “WD” in WD-40 stands for…water displacement. In fact, WD-40 is made up of a few different chemicals which all have different purposes. Some are lubricants, some are anti-corrosion chemicals, others are water dispersants. All of those combined create WD-40 and also what makes it so beneficial. 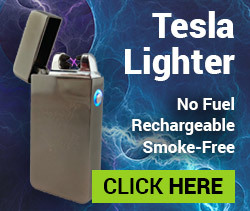 So how can you use it in survival situations? Before I go too far into this I want to make something crystal clear. Some of these uses are only for emergencies. WD-40 is made out of chemicals, chemicals which harm the environment and can actually be harmful to your health as well. Not that I’m saying don’t use WD-40 at home when needed but just be careful on overdoing it. This is the interesting thing about this use. WD-40’s own website says this is a myth. They say people originally thought WD-40 had fish oil in it which is what helped them catch more fish when it was rubbed on lures. Well despite WD-40 saying this isn’t true there are hundreds and thousands of people who say it does work. I’ve met people who have gone all done without a bite and applied WD-40 to their tackle and caught fish within minutes. Granted I don’t use WD-40 when I go fishing, but if I absolutely had to catch something (to stay alive) and had some WD-40 you bet I’d try it out. If you’re traveling in the winter or in the wet WD-40 can help keep your feet dry. Remember WD-40 is a water dispersant, which means water can’t get past it. By spraying the surface of your shoes you can help keep water at bay. You might have to carry it with you and apply it regularly to keep the barrier going but this is definitely a great option. If you have a big shoveling job ahead then spraying WD-40 on the blade can help a ton. You’ll be able to dig with ease and soil will slide right off the blade. This is going to be advisable in survival situations like building a trench or setting up camp. It’s not the best idea for gardening because the chemical will remain behind in the dirt and can make its way into the food you grow. Spraying WD-40 on windows is a good way to ensure snow doesn’t build up on them. This is especially helpful if you live in a climate with tons of snow and want to keep the snow off of your windows for energy savings or so you can increase visibility. A lot of survival equipment could benefit from WD-40. 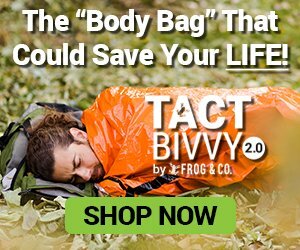 And considering how much you’ll rely on survival equipment in a disaster this is incredibly important. WD-40 on wooden survival equipment will keep the wood in great shape, keep it from splintering as easily, and will protect it from moisture. The life of metal equipment can also be prolonged by a coating of WD-40. WD-40 will help keep rust at bay and can keep any joints as well as points of friction in good shape. If you store survival food in plastic containers with openings on top a ring of WD-40 along the bottom of the container can keep the food safe. Insects will have difficulty crawling up the containers and other larger animals (like rodents) will also be unable to climb over the WD-40. If you’re using either a heavy duty survival knife or an axe to cut firewood then WD-40 can help. A simple application on the blade will make it so the blade doesn’t get stuck in the wood and you can encounter effort free chopping. If you’re bugging in (no pun intended) you can use the WD-40 to keep potentially harmful insects away from your home. You can spray it on areas wasps might try to build a nest and it can even be sprayed on existing nests to drive them away. You’ve probably been made aware by the can that WD-40 is flammable. While in most cases you wouldn’t want to light WD-40 on fire, in an emergency situation that might change. You can spray WD-40 directly on kindling to get a fire going in no time flat. The important thing to remember here is just because WD-40 can help protect firearms doesn’t mean you should rely on it exclusively. A suitable gun oil and gun cleaner is going to be preferred. However, if you’re in a survival situation and need to clean, lubricate, and protect your gun then WD-40 sprayed inside and out is a good solution. You’re going to need locks and hinges to work in the event of an emergency. WD-40 is one of the best tools for the job. Sprayed in the locking mechanism and on the joint WD-40 will make it so you never have to worry about your lock or hinge failing you in a crisis. Best of all is it generally only takes an application here and there to ensure your lock and hinges are working fine. This is an awesome use for WD-40, especially considering how valuable a zipper is on your survival kit or bug out bag. A little bit of WD-40 on an uncooperative zipper will help it run smoothly so it doesn’t break later on. We think one of the best ways to survive a crisis is to get ready before anything happens. 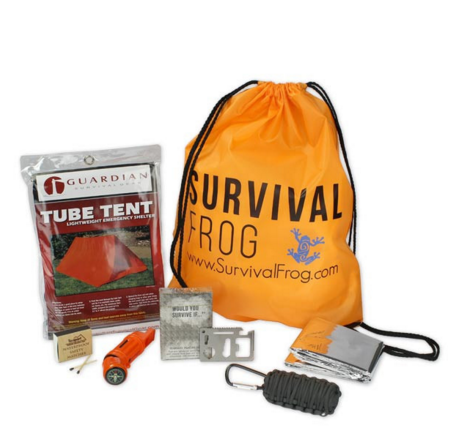 Our Survival Grab Bag is a great way to do that. Combined with a bottle of WD-40 this low cost survival kit could help save your life in an emergency. Click here to see everything inside (including the paracord grenade which can be used with WD-40 to catch fish). This entry was posted in SHTF, Survival Basics, Survival Hacks, Uncategorized and tagged hacks, survival uses, WD-40 on November 22, 2015 by Survival Frog. It also is good for getting small engines to fire up if there being stubborn like my chainsaw and lawnmower others. Rub WD-40 on the area around an aching arthritic joint for pain relief. WD-40 is better to use than ether/starting fluid on a diesel engine. No, no, no! WD works great for most of these uses, and I love using it. BUT, do not count on it as a rust inhibitor. I’ve seen many cases where it was put on guns and knives and they were put away only to be retrieved later covered with rust. Has happened both with desiccant and without. A great lubricant, loosener, etc., but not a replacement for a quality oil! Eddie, thanks for your reply. 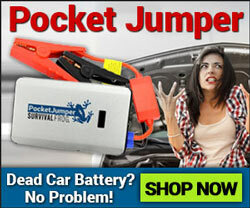 Remember, this is only in emergency situations. We always recommend a good oil before WD-40 to inhibit rust. I spray it when my wooden rocking chair starts to squeak…stops it for a time. Then I spray it again and wipe in the oil, which helps the wood stay nice too!! wd 40 I use it on automobile electrical boxs battery,connections door mechanisms, keys,seat slides,windshield wipers not on the rubber,anything that squeaks,like plastic parts and put some on a rag and wipe the console and cup holders not heavy just a light coat clean up will be a snap roofing tar mastic etc. on hands, cloths, tools,nothing works better. Thank you, always good to hear remedies like that, sir! A word of caution about using WD-40 on firearms. WD-40 will kill primers and make them ineffective. Spraying a little on the firearm won’t hurt, but if you get excess and it gets on your ammunition, your bullets may not fire. Keep WD-40 away from your ammunition at all times.